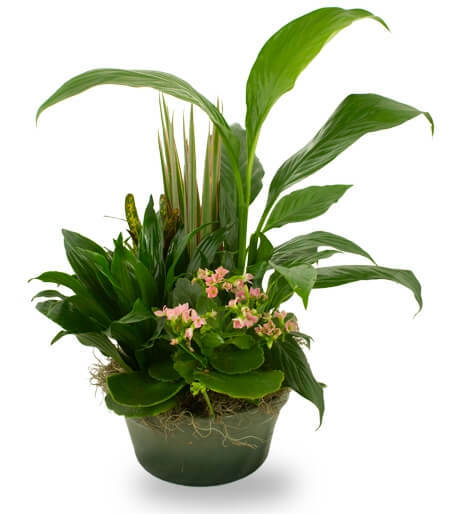 Lush, vibrant greens honor their passing and a blooming plant offers hope and comfort for the days ahead in this tranquil garden of remembrance. 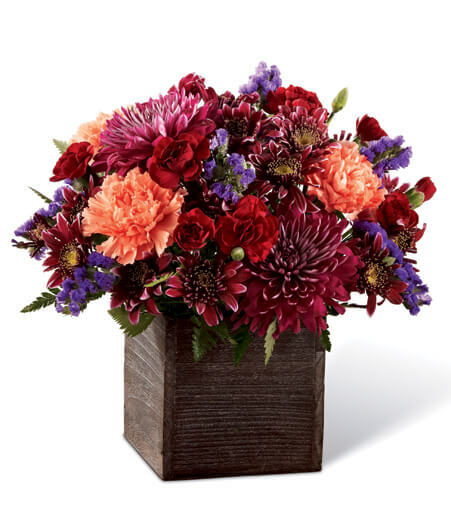 Style of container may vary depending on availability. 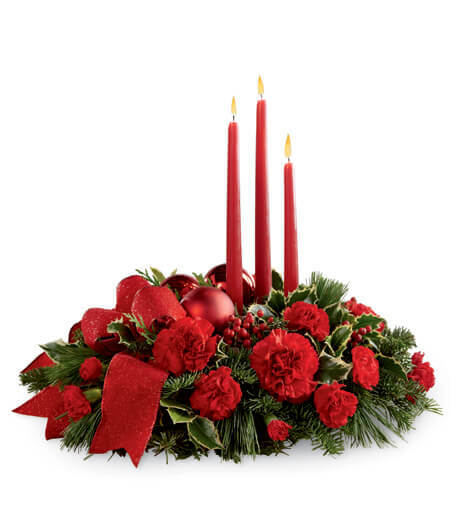 Appropriate for the funeral home or the family's home. 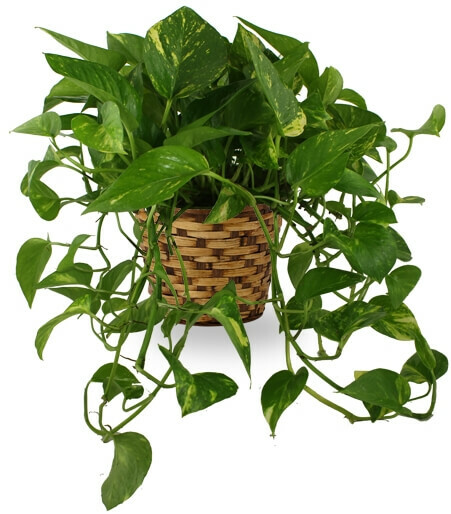 Variety of plants and container style may vary. 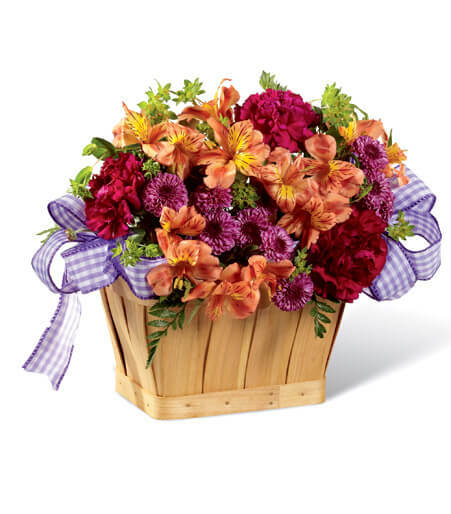 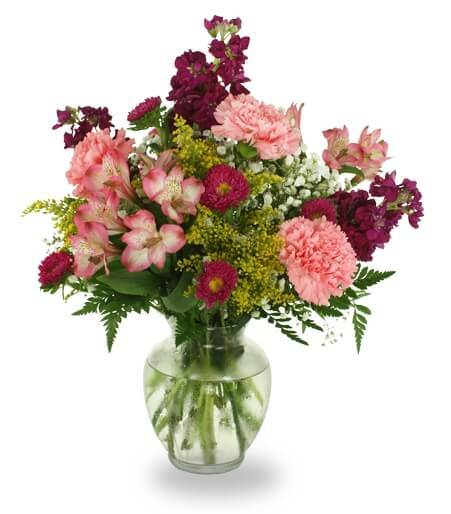 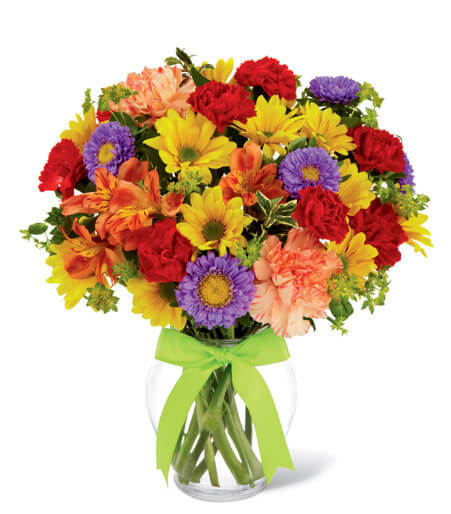 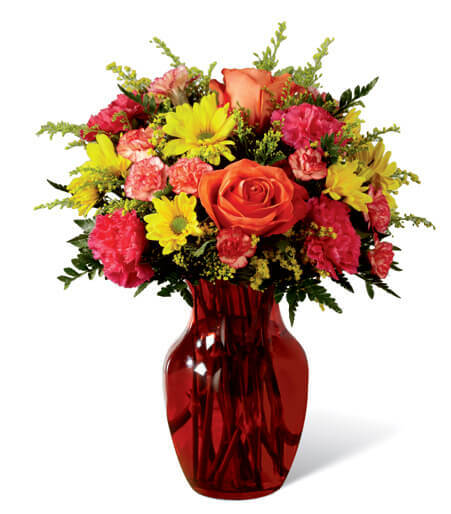 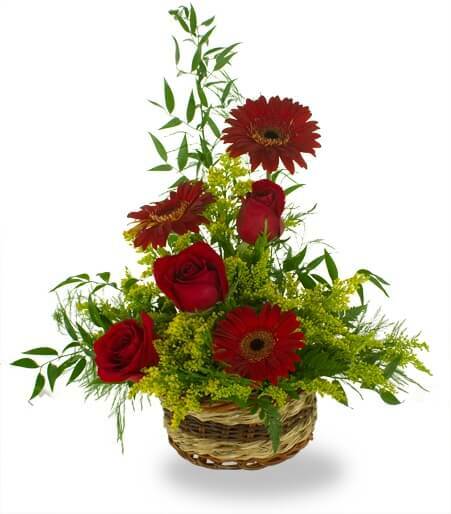 The Joyous Holiday Bouquet is a seasonal sensation your special recipient will love. 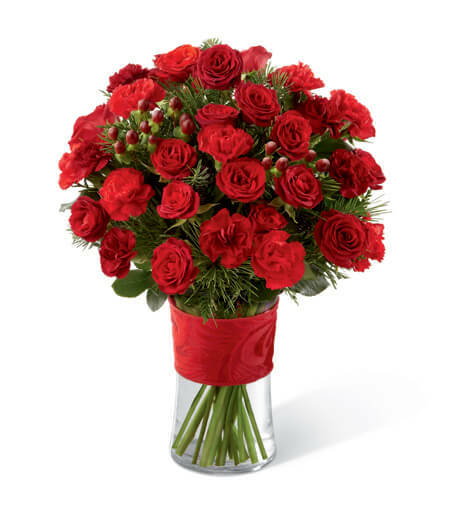 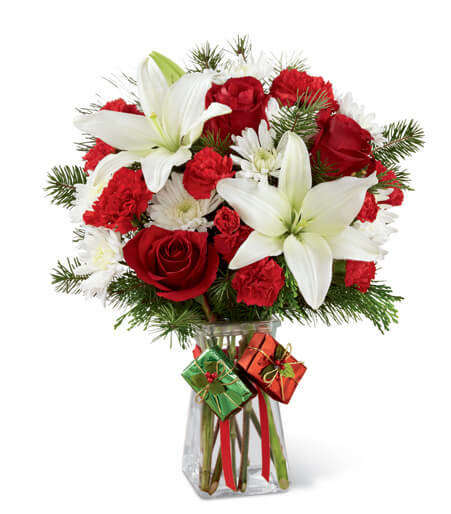 Rich red roses, carnations, and mini carnations are brought together with brilliant white Asiatic lilies and chrysanthemums accented with lush holiday greens to create an incredible fresh flower arrangement. 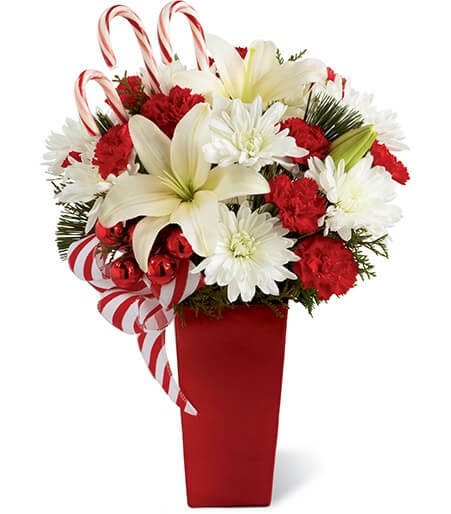 Presented in a clear glass gathered square vase embellished with red ribbon at the neck dangling foil-wrapped present accents to give it a festive look, this holiday flower bouquet will make an excellent Christmas gift for your favorite friends, family or co-workers.